THE Wollongong Hawks secured third place and a trip to the playoffs behind a spirited 74-64 victory over the Adelaide 36ers at the WIN Entertainment Centre on Saturday. On the night the club paid tribute to their greatest player Glen Saville, the Hawks finished the regular season on a high and booked a semi-final date with the Perth Wildcats. Larry Davidson powered his way to a double-double at half-time to lead the Hawks, finishing with a haul of 20 points and 15 rebounds, and Adris Deleon was sensational in support with seven of his 23 points coming in the fourth. The retired Saville was called out as the last player during the lineups, he was greeted by a guard of honour on court by his teammates and then awarded life membership to the Hawks. 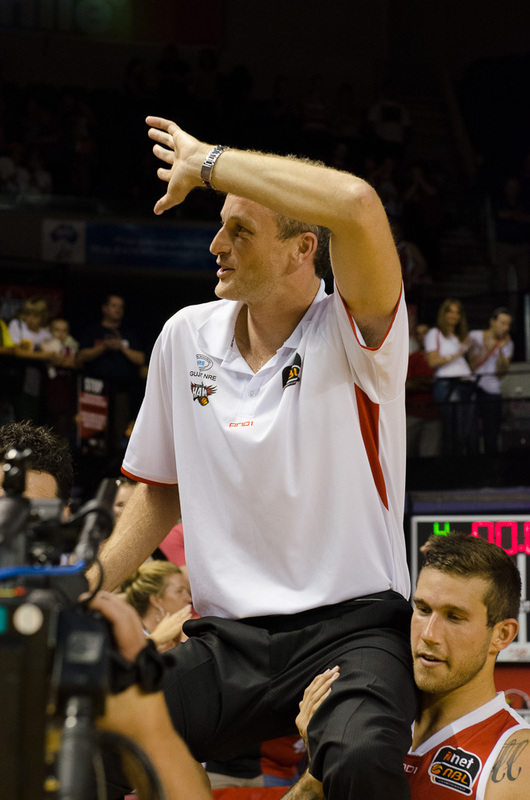 Nathan Crosswell was also honoured pre-game in his 350th and final NBL game, he connected on his first two attempts and finished with 6 points and 2 assists in his farewell run.